We take apart our new 3Com ADSL Wireless 11g Firewall Router to see what makes it tick. 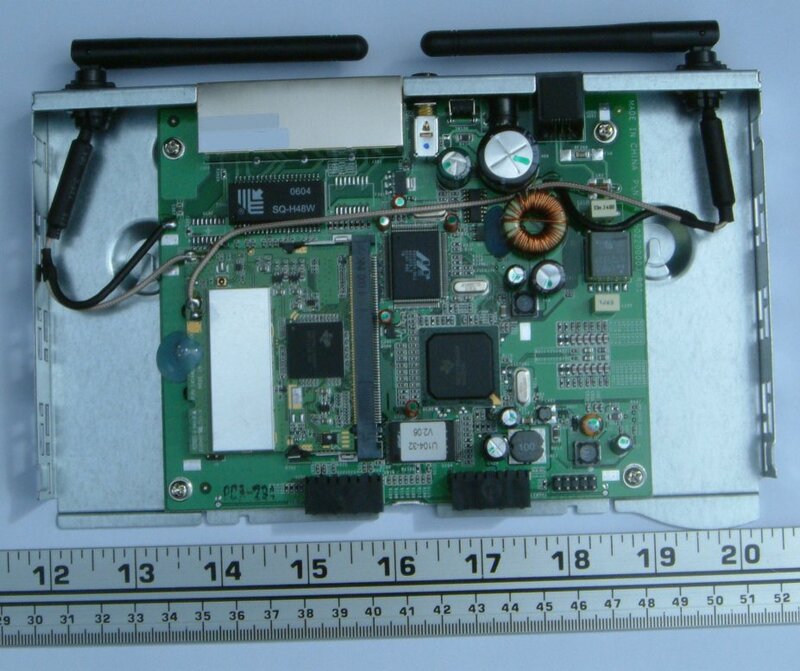 This is the same router that comes in 3Com's 3CRWE754G72-AGBUN router/pcmcia-card bundle. In a pleasant change from most wireless kit we've looked at, there were no Warranty Void If Broken stickers on the kit, so taking the cover off was just a case of gently prising off the 5 small clips that hold the plastic top onto the metal base plate. 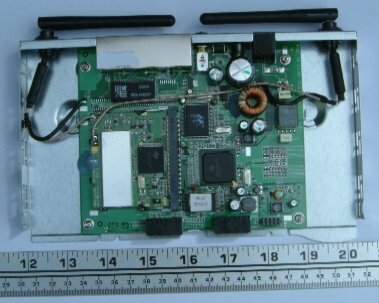 As with most wireless routers, the actual wireless hardware is provided by a small daughter board, usually either a PCMCIA card, or a mini-PCI card, as appears to be the case this time. 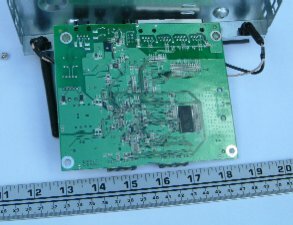 Both antenna are connected to the small wireless card, and are also seperately earthed to the main board below. Finally turning to the antenna, they are not detachable so no RP-SMA connectors here. 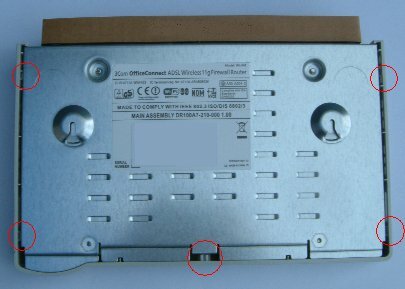 What is the specifications like CPU, flash type and radio type for this 3com OfficeConnect 11g router ?? 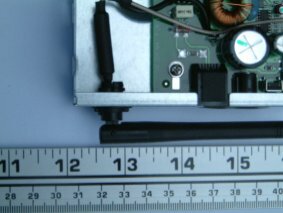 Is there any hack to convert these static antenna into interchangable screw sockets?